Many people have never heard the terms “inlays and onlays,” or they don’t understand their place in dentistry. These dental repairs take their names from the location on the tooth where they are used. 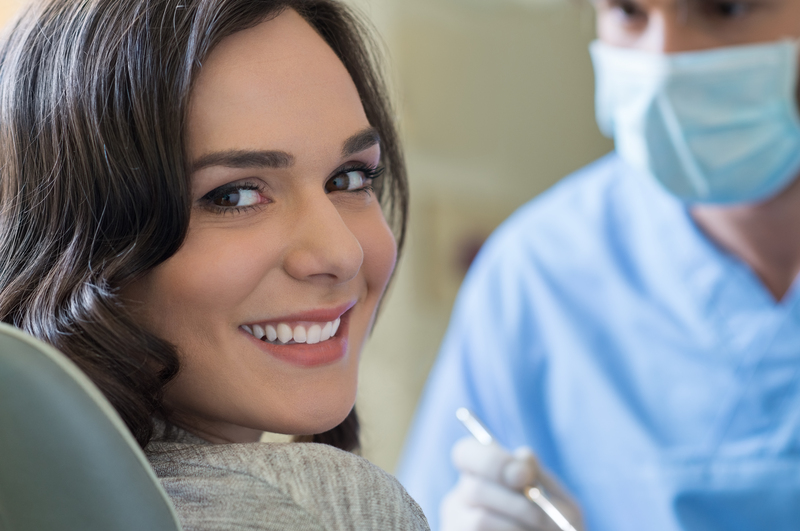 At Prosthodontics of New York, we use inlays and onlays as options for restoring normal tooth structure when a tooth is decayed or otherwise damaged. These are alternatives to the more aggressive treatment of a crown.Unlike fillings that are mixed and placed chairside, inlays and onlays are fabricated in our CEREC 3D design and milling system, and are then cemented or bonded onto the tooth. There are advantages to these restorations because, unlike a typical filling that weakens the tooth, inlays and onlays do not weaken the tooth structure; they actually strengthen the tooth, adding between 50 and 75 percent more chewing force. Their names derive from their location: inlays are placed within the cusp tips of the tooth; onlays usually cover the entire chewing surface including one or more tooth cusps. A dental inlay is a more durable alternative to a typical filling. Plus, an inlay can be used to fix a tooth that has too much damage to support a filling, yet isn’t damaged enough to merit a crown. By definition an inlay has to be placed in the tooth’s chewing surface between the cusps. Sometimes inlays are known as “indirect fillings,” because the dentist makes a mold once the decay and damage is removed, and this mold is sent to a lab for fabrication. At Prosthodontics of New York, we have the ability to fabricate your custom inlay right in our offices, so you don’t have to wait for a dental lab to do so over a period of a few days to two weeks. Our CEREC inlays are made of porcelain, so they are more durable than amalgam or composite resin fillings. Where there is a large amount of decay inlays are less expensive than crowns, and we don’t have to remove as much of the healthy remaining tooth to place an inlay. When the damage is more extensive, Dr. Roberts or Dr. Sirota may use an onlay. An onlay falls in between a large filling and a crown. They are used when the damage involves not only the chewing surface but one or more of the cusps as well. Onlays enable us to save the tooth, actually strengthening it, without having to resort to a full crown that covers the entire tooth. Like inlays, our onlays are made of porcelain. They are less expensive than crowns and can last up to 30 years if properly cared for. Whether you need an inlay or an onlay — remember, the difference is if the damage involves one of the cusps of the tooth or not — the procedure is the same. Unlike most practices where theses restorations require two appointments over a couple of weeks, at Prosthodontics of New York we can prepare the tooth, create the inlay/onlay, and place it in just a single appointment. To prepare the tooth, we remove all the decay. Then we take photos and various precise measurements that we send to our CEREC 3D design system. We use the system’s 3D imaging software to design your inlay/onlay right on screen. We then send the data to the milling station, which takes a single block of dental porcelain and mills your inlay/onlay. When it is complete, (milling usually takes less than 30 minutes), we check the fit and color match with the rest of your tooth, make sure the tooth is clean, and permanently cement it into your tooth. Inlays are more durable than regular fillings. Inlays don’t require removal of as much of the healthy natural tooth as is required when placing a filling. They don’t contract and expand with hot and cold foods and beverages as silver amalgam does, so they don’t potentially crack your teeth over time. In most cases inlays actually strengthen your tooth, whereas fillings weaken it. Inlays can replace larger areas of decay without weakening the tooth, whereas overly large fillings can seriously weaken a tooth. Porcelain inlays, like composite fillings, are not detectable on your tooth, unlike amalgam. At Prosthodontics of New York, we use onlays in lieu of crowns if possible. Porcelain onlays provide all the advantages of inlays when compared to typical amalgam fillings, and they are a more affordable alternative to a crown. To make room for a crown, we remove a portion of the healthy tooth on all sides and the top. The crown then covers the entire visible portion of the tooth. An onlay only replaces the decayed portion of the tooth, yet is still invisible when looking at the tooth. Inlays and onlays do not require any special attention in your home hygiene. Brushing twice daily and flossing is all that’s necessary. These porcelain restorations are quite durable. They can last for decades, often the remainder of the patient’s life. The key is to take care of the tooth holding the inlay/onlay. If that tooth stays healthy, the restoration will endure. For more information about inlays and onlays, call Prosthodontics of New York at (212) 758-9690 to schedule a consultation with Dr. Roberts or Dr. Sirota. Our practice serves Manhattan, NYC, and surrounding areas in New York.